Kids have endless amounts of energy, especially when they are excited and anxious for your family vacation! It can be hard to plan out what needs to be packed, get everything and everyone in the car, park, go through security, and survive the flight. Keeping up with your kids is hard enough, add travel into the mix, and they have a serious leg up. 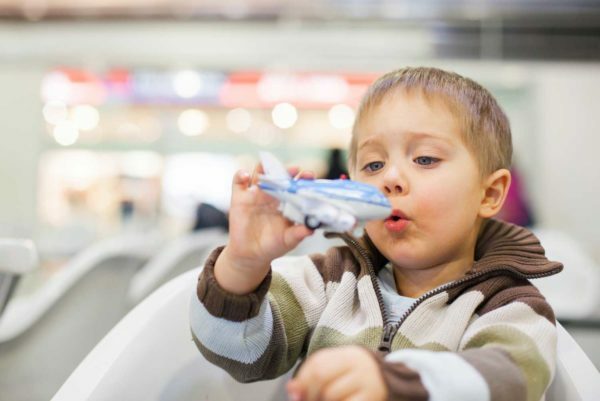 Oftentimes parents find themselves stressed about air travel with their little ones, but below we are going to discuss some packing tips and travel hacks that will make this process much easier for you! Arts and crafts- crayons and a coloring book or stencils. A few small toys like legos, dolls, or baby toys. There is no reason to make the stress worse by packing the entire house for a family trip. Pack just the essentials and remember that if you leave something behind, there are usually stores nearby to replace items that were forgotten at home. Having snacks on hand will help you and your little ones remain content throughout the journey. Lugging around a bulky stroller can be difficult when loading on and off a plane. Here is a list of small, compact and durable strollers that are designed for travel. It will make transitioning on and off the plane so much easier! Most kids tend to be in the best mood after a good night of sleep. By traveling first thing in the morning, you give yourself ample time to reach the destination before your children become tired and cranky. As most people know, airplanes can be cold! Make sure your kids have a sweater or flannel so they don’t find themselves shivering mid-flight. This is a life saver when going through security. It can be hard enough to take your own shoes off while also trying to load your luggage onto the conveyor belt. By having your kids wear shoes they can take off themselves, it will save you time and stress during this leg of the airport journey. Parenting has its own challenges, but you don’t have to make your family vacation be one of them! 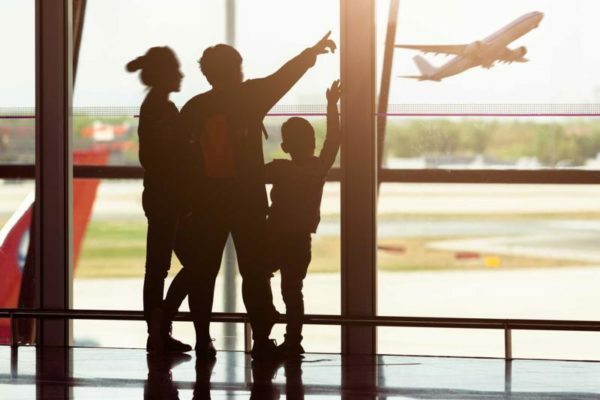 Canopy Airport Parking® is dedicated to making family travel easier than ever with non-stop shuttle service, and a team of employees who are committed to customer service. So next time you find yourself traveling out of DIA, remember to park your car at Canopy™ so we can help you make your trip that much easier.